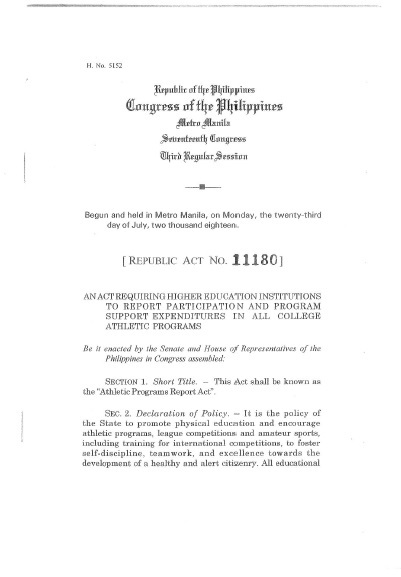 A bill requiring higher education institutions (HEIs) to report participation and program support expenditures in all college athletic programs has been enacted into law. 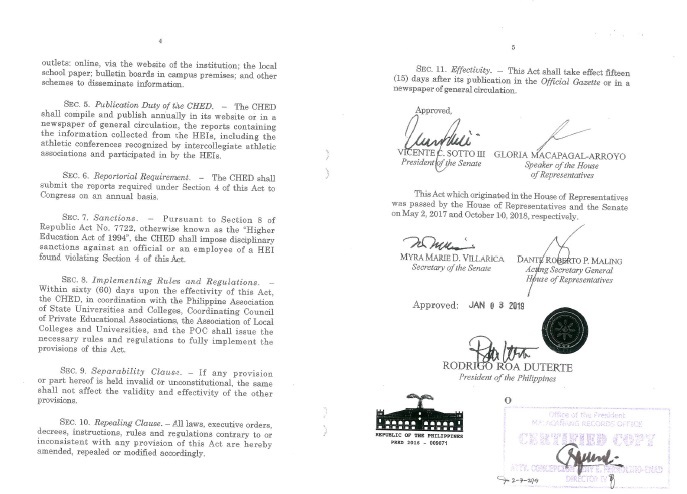 President Rodrigo Duterte signed Republic Act (RA) 11180 on January 3, 2019. 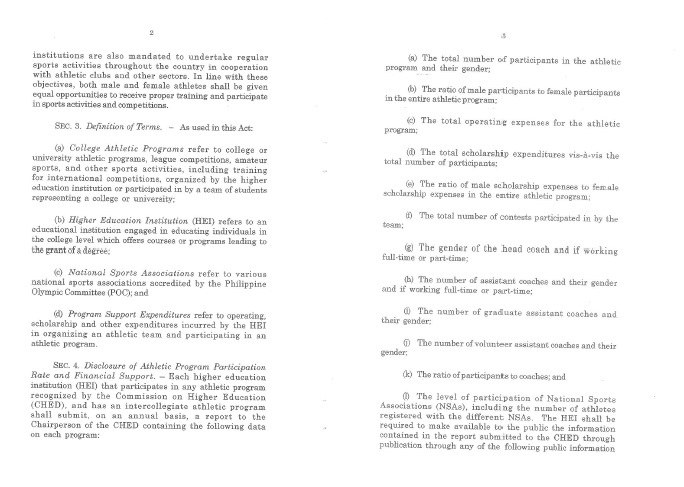 Section 4 of the law directs each HEI that participates in any athletic program recognized by the Commission on Higher Education (CHED) and has an intercollegiate athletic program to submit every year a report to the chairperson of the CHED that contains its operating, scholarship, and other expenditures. The CHED will then compile and publish annually said reports in its websites or in a newspaper of general circulation, RA 11180 stated. The measure said any HEI official or employee violating Section 4 of the Act will face disciplinary action.